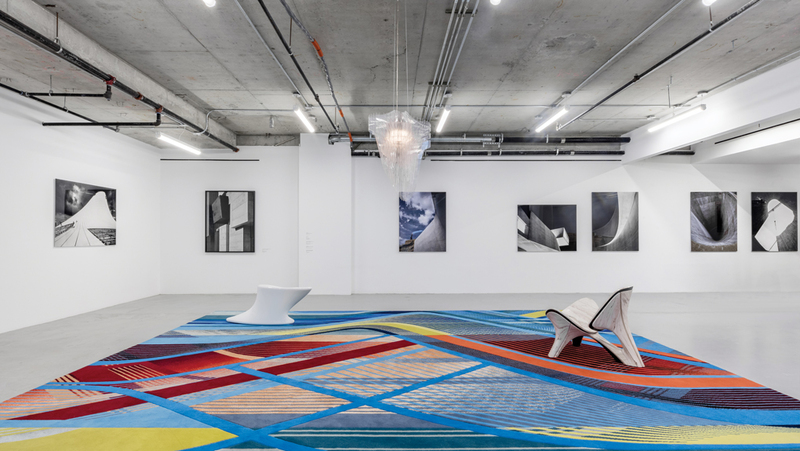 From November 7th 2018, the Zaha Hadid Gallery presented a pop-up exhibition in the new space for art at 514 West 28th Street, New York. 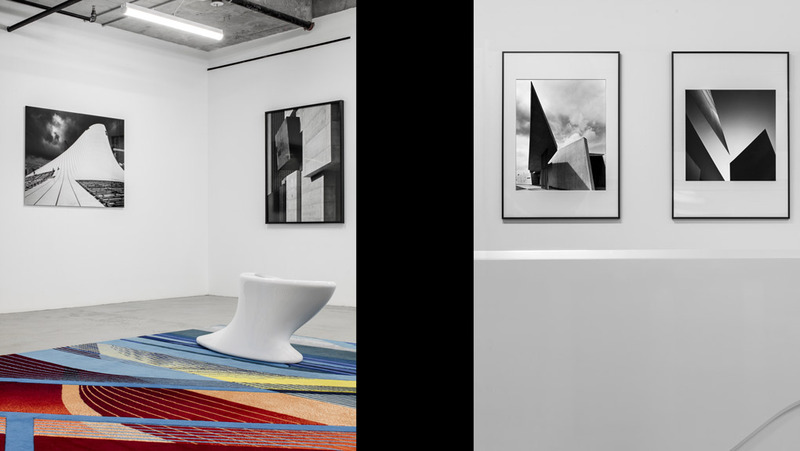 Located on the ground floor of ZHA’s acclaimed 520 W 28th residential condominium building in Manhattan, this 2,000 ft2 gallery developed by Related Companies and joins their adjacent High Line Nine exhibition space. 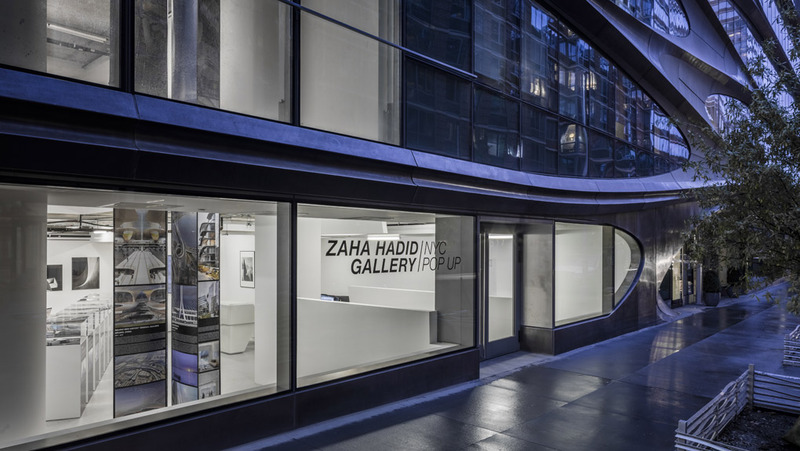 Zaha Hadid Gallery’s pop-up exhibition in New York showcased a curated selection of works including architectural models of 520 W 28th and a series of six ‘Silver Models’ representing eight key projects. Originally conceived by Hadid for the 2005 ‘Silver Paintings’ exhibition at the ROVE Gallery, London, these abstract sculptural forms retain the essence of the formal language of the buildings. Several of Zaha Hadid Design’s latest collaborations have been shown within the pop-up. The Striation rug from the new RE/Form collection for Royal Thai celebrates Hadid’s signature use of layering and play with light and shadow; while the AVIA chandeliers for Slamp embody integrating complexity with innovative manufacturing techniques, each comprised of 50 intricately layered elements that create a dynamic play of light. In conjunction with the ammann//gallery, Cologne, photography by Helene Binet captures the materiality and composition of ZHA’s work. Binet began her relationship with the practice in 1993 photographing ZHA’s first completed building, the Vitra Fire Station and has continued to the present day with powerful images of the firm’s most renowned projects.